Following the post on kamae, I have received a number of questions about the correct position of the arms in chudan. 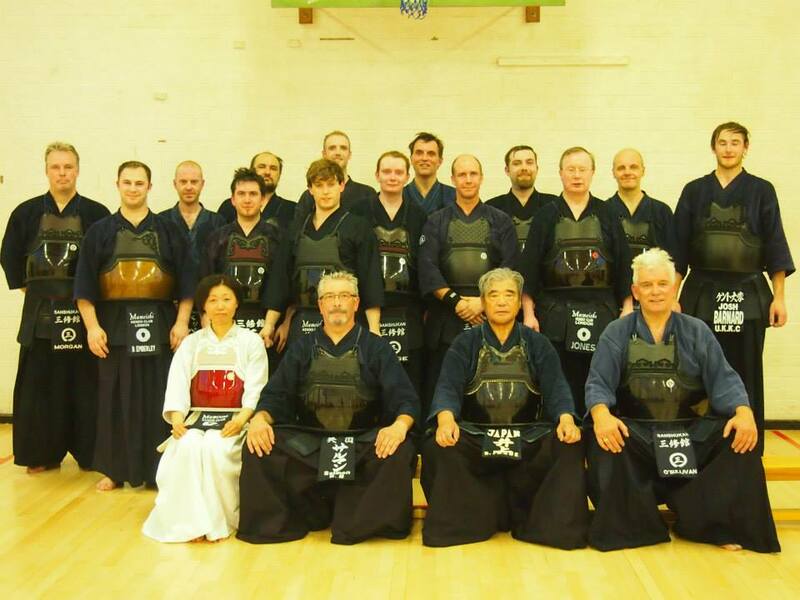 Looking at Matsumoto sensei’s lecture notes and with a lot of translation help from my friend Katsuya Massagaki, we have tried to come up with a reasonable overview of sensei’s advice on the subject. The original text is not easy to understand so I have added my own clarification, for better or worse. The gist of the Japanese text is as follows and as always, any errors are mine. The arms should hang naturally from the shoulders and you should have the feeling of holding an egg in each armpit. 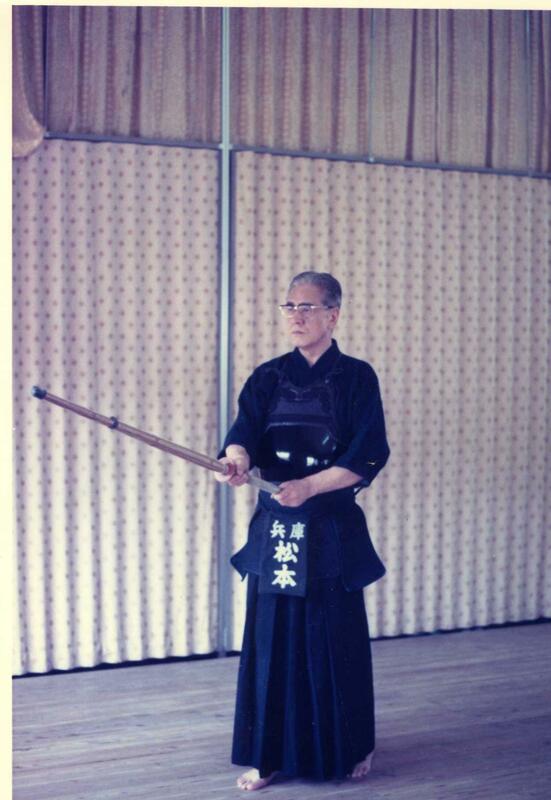 The shinai should be supported by the latissimus dorsi muscles (the big muscles that run down each side of your back) and the brachialis muscles (the muscle that flexes the lower elbow joint). You should not use the biceps or pectoral muscles. 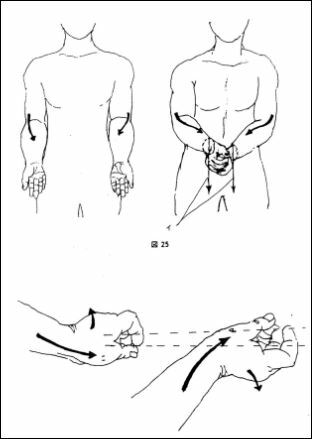 The feeling in your upper arm should be similar to that experienced by a Sumo wrestler in the “ottsuke” technique where he pushes his opponents arm thrust to the side. To assume the correct position you should hold your palms upward and then with a feeling of pushing forward, turn your forearms in using the brachia muscles. The crease at the back of each wrist, once in position, should form a right-angle with the floor. 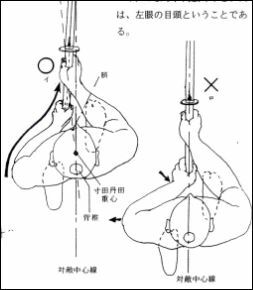 The upturned open hands should be turned in to grip the shinai with the little and ring fingers making the strongest contact. The hands should be turned in with a feeling of chakin shibori (wringing out the cloth used in the tea ceremony, this implies a gentle rather than harsh wringing motion.). (In this case shibori applies to the grip in kamae and should not be confused with the idea of shibori after cutting). The position of your wrists will change depending on the situation. 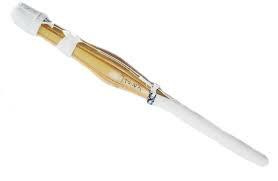 In principle the direction of your downturned thumb and little finger reflects the angle of the blade. To best understand the position of your forearms, try sitting in a chair in front of a table, rest your elbows and forearms on the table with your palms upward then twist your forearms inwards. By keeping your elbows directly in front of you, you will understand the importance of not letting your elbows move out at right angles.